I love learning new things. I get a lot of energy from it. Too bad that I also forget stuff. Why is it that I remember some things well and some things less? Is there a wrong way to learn? 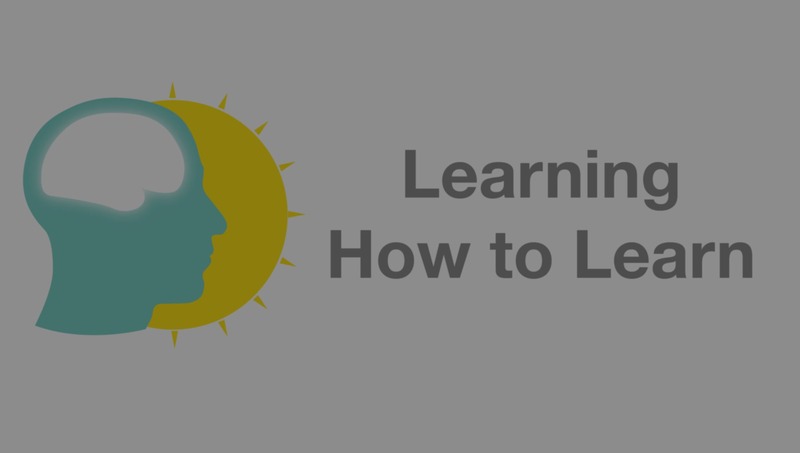 How can I improve my learning skills? 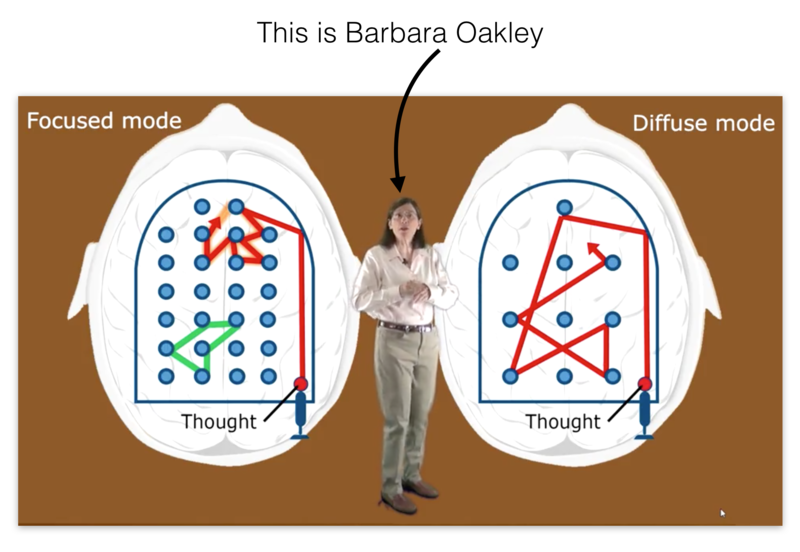 With these questions on my mind I did the online course Learning How to Learn: Powerful mental tools to help you master tough subjects taught by Barbara Oakley and Terrence Sejnowski at end of last year. I have to say, it turned out to be one of the best online courses I did. Source: Learning How to Learn. Here are my course notes. Focused: Logical thinking, using existing thoughts. Diffuse: Creative thinking, making new thoughts. The more abstract something is the more important practice is to make neuronal connections in the brain. working memory: small, fast access. long term memory: big, slow access. Over time: To get something from the working memory to the long term memory it takes time and practice. Learning should be spread over time, with pauses in between. Sleep: Especially when wanting to dream about it. Exercise: Take notes immediately to not forget. Environment: Get involved with other people, not by yourself. Rubberducking. Chunking is combining bits of information together with a meaning. Chunking helps the brain to run more efficiently by remembering the main idea. Just memorising a fact without the context doesn’t help to understand. Focusing, practicing and repetition help to build chunks. The best chunks are always available to remember. Examples can help to quicker understand an idea. Like hearing a song when you want to learn it on the guitar. Too much focusing on one single step can also be dangerous not see the connections between steps. Ensure accessibility of the chunk. Doing it yourself to validate the idea. Bottom up: Chunking, practice and repetition. “How to do”. Top down: Getting the big picture. “When to use”. Learn the main concepts first, the structure. Recalling, remembering the key ideas is efficient. Retrieving information helps learning. Recalling outside of the usual environment help to become independent of environment. Rereading or spending a lot of time doesn’t help as much. Testing yourself and making mistakes can help to correct thinking. Transfer: Linking one concept in another field. Importance and value of the material in the future. Sequential: Step by step reasoning. Focused mode. Holistic: Intuition, build new links. Diffuse mode. Verify outcomes with focused mode! If there is a lot of material, just start somewhere. The rest will get easier. Continuous practice after mastering something. Can be valuable for automating things in times of nervousness. Focusing on the difficult parts of the material. Initial intuition can be misleading. Unlearning old ideas while learning new ones. Select and use different chunks to learn how to switch between them. Build flexibility. Getting used to learning not only how a technique works but also when to use it. Make connections between chunks in different fields. Unhappy feeling with a task (pain). Cue: Trigger to start a habit. To change a habit you have to change the underlying belief. Negative thinking at the start is normal. Good learners don’t waste time and get started. To avoid procrastination it is good to focus on the process, like spend 20 minutes on a topic instead of the outcome, e.g. finishing a test. Most unhappy feelings or pain come from focusing on the outcome. Learning starts earlier, not e.g. a day before a test. There is more repetition because it becomes a habit to learn a bit more often. Plan B: To avoid going in old habits, have a plan B to avoid the reaction. Belief: Belief that the new system works. Use more senses like smelling or hearing to make the memory stronger. Stores new memories in the cortex. Reactivation: Recalling a memory. The memory is in a new context. Reconciliation: When recalling, memories change which can be stored again. Consolidation and reconsolidating occur during sleeping. Technique to visualise where something you have to remember is placed. Used to remember lists of not related things. Temporarily feeling like taking a step back in learning is ok because the mind is restructuring its understanding. Help to get people out of Einstellung. Stories help to remember things. Left: interprets the world. keeps interpretations unchanging. Verify your solutions in the global sense. Does this really make sense? Changing thoughts can change life. Practicing neuronal patterns. Did you work with classmates on homework problems? Did you consult with the instructor? Did you understood all of your homework problem solutions? Did you have a study guide? Did you attend a review session? Start with difficult problems, then go to easy problems. Must have discipline to switch from the hard problem to another task.